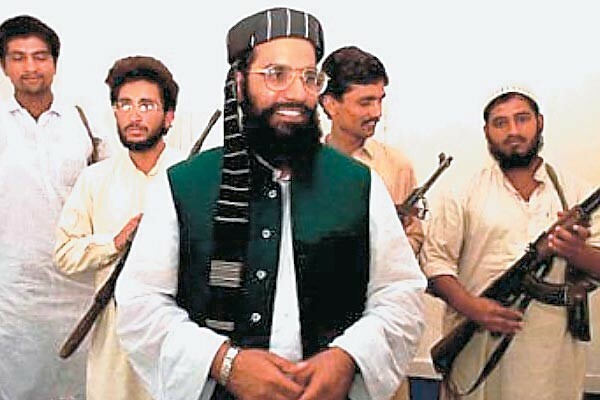 Recent statements from Pakistani Taliban leaders suggest an Indian attack on Pakistan in response to alleged Pakistani responsibility for the Mumbai terrorist assault could do what the Pakistani military and politicians have been unable to do so far – bring the Pashtun militants of the North-West Frontier Province (NWFP) onside with the Pakistani government in a common cause. Taliban spokesman Qari Saifullah Akhtar announced the Taliban was ready to “annihilate” the 8,500 Indian troops it claims are operating in Afghanistan. Akhtar pledged the Taliban would stand “shoulder to shoulder” with the Pakistani army if India “committed aggression” against Pakistan; “We’ll put all the differences aside at this juncture and unite… We’ll stand by the army against external powers… The Taliban are like lions before whom all the powerful have to bow down.” The Taliban spokesman added that Indians rather than the Taliban were responsible for the Mumbai attacks. According to Akhtar, the Taliban condemn the killing of innocent civilians and are “opposed to terrorism across the world” (Nawa-i-Waqt [Rawalpindi], December 3). Though India is not part of the International Security Assistance Force (ISAF), Pakistan has recently complained about an un-mandated Indian military presence in Afghanistan (ANI, November 25). In 2006, India announced it would send 3,000 members of the paramilitary Indo-Tibetan Border Police to Afghanistan to guard Indians working on a new road between Kandahar and the Iranian port of Chabahar (Daily Times [Karachi], February 8, 2006). Great Britain has asked India in the past to commit troops to the ISAF mission (The Tribune [Chandigarh], May 2, 2006). Maulvi Omar, another Taliban spokesman, was also quoted as saying the Taliban would defend the Line of Control (the unofficial military border between Indian and Pakistani Kashmir) in the same way they defend the Durand Line (the border between Pakistan and Afghanistan). Since the Taliban basically ignore the Durand Line, the meaning of Omar’s statement is somewhat elusive. Maulvi Omar added, “in the event of an Indian attack, we’ll make it clear to the Pakistani people whether we are defenders of this country or militants” (Nawa-i-Waqt [Rawalpindi], December 3). The Taliban’s newfound nationalism and opposition to terrorist attacks will come as a revelation to many. Pakistan’s regular forces are unlikely to accept Taliban assistance in any but the most extreme circumstances, though the option may be preferable to leaving the NWFP in Taliban hands in order to move Pakistani military assets currently deployed there up to the border with India. A major military withdrawal from the NWFP and tribal agencies would effectively leave Taliban and al-Qaeda elements free to operate in the area just as Pakistani forces have taken the initiative in a large regional offensive. It would also disturb the United States, which is encouraging Pakistan to intensify its campaign against the militants. The Chairman of the U.S. Joint Chiefs of Staff, Admiral Michael Mullen, was in Pakistan earlier this month to urge Pakistan to take “more concerted action against militant extremists elsewhere in the country,” according to a U.S. embassy statement (Reuters, December 3). The Media Department of the Jamiat-ul-Mojahedin Bangladesh (JMB) has sent a package of threats and propaganda materials to Dhaka newspapers and Bangladeshi politicians by fax and registered mail. Together with threats of a bombing campaign during the December 29 parliamentary elections (the first since the military enforced emergency rule in 2007), the JMB sent CDs containing video footage of JMB leaders, including footage of their arrests and court appearances following the nearly simultaneous explosion of roughly 400 bombs nationwide on August 17, 2005. JMB leaders also urge jihad against the Bangladeshi secular judicial system, condemn the media and describe democracy as “a system of evil.” Bangladesh’s judicial system is a frequent target of the JMB, which regards it as a colonial holdover in need of being replaced by Islamic law. The CDs featured a statement by the movement’s late leader, Shaykh Abdur Rahman, who was executed for his role in the murder of two judges, and a Bengali translation of a statement by Osama bin Laden (Prothom Alo [Dhaka], December 3; New Nation [Dhaka], December 5). The movement is expected to seek revenge for the execution of Shaykh Abdur Rahman and five other top JMB leaders in March 2007. During emergency rule the JMB is believed to have regrouped and actually expanded its membership. The JMB has the capability of following up on its threats. Recent seizures of JMB arms caches have revealed the group has developed the ability to manufacture sophisticated explosive devices made entirely from locally available materials (Indo-Asian News Service, November 18; Daily Star [Dhaka], November 18). The JMB’s explosives expert, “Boma” Mizan, was recently sentenced to 20 years in prison (bdnews24.com, November 25; Daily Star, November 26). Bangladesh’s Rapid Action Battalion (RAB), an elite counterterrorist unit, is currently engaged in operations against the JMB in northern Bangladesh designed to capture the group’s current Amir, Saidur Rahman (New Nation, December 5). Human rights organizations have accused RAB of torture, the death of innocent civilians and arbitrary violence. RAB is drawn from members of the nation’s army, air force, navy and police. With the completion of a month-long police investigation, Somaliland’s Interior Minister, Abdullahi “Irro” Ismail, has announced al-Shabaab extremists are responsible for the suicide bombings that killed more than 20 people in Somaliland’s capital of Hargeisa in late October. Al-Shabaab, originally the youth wing of Somalia’s Islamic Courts Union (ICU) movement, has emerged as the most militant faction of the Islamist resistance. According to the Interior Minister, the three suicide bombings that targeted the presidential palace, the Ethiopian trade office and the regional UN offices were organized by al-Shabaab leaders Mukhtar Robow “Abu Mansur” and Ahmad Abdi Godane “Abu Zubayr,” the latter a Somaliland native who trained with al-Qaeda in Afghanistan. Among those killed by the car-bombs were the President’s personal secretary and senior anti-terrorism official Ibrahim Hutu. The actual operation was supervised by a man known as Abdulfatah Abdullahi Guutaale. Ismail added; “Somaliland’s enemy, from day one to today, has always been al Shabaab” (Garowe Online, November 27; AFP, November 27). A noted Somaliland Muslim leader, Shaykh Ali Warsame, condemned the attacks as outrageous and un-Islamic (Somaliland Times, November 1). The bombings may have been designed to interfere with upcoming elections next March. The investigation revealed that of the six suicide bombers involved in the October 29 attacks, only one was from Somaliland, while the other five hailed from Somalia proper. Somaliland, roughly corresponding to the borders of colonial-era British Somaliland, split from Somalia in 1991 following the fall of the Siad Barre regime. As the rest of the country plunged into violence and political chaos, Somaliland created a stable state with democratic elections, but has failed completely in gaining international recognition. Somaliland’s security services are in admitted need of international assistance and training, but Somaliland’s non-sovereign status prevents any such efforts. At the same time as the Hargeisa explosions, other suicide bombings occurred in neighboring Puntland, a semi-autonomous district of Somalia. A pair of suicide car bombs struck two anti-terrorism offices of the Puntland Intelligence Service (PIS) in Bosasso, the economic capital of Puntland. The huge blasts, which Puntland also blamed on al-Shabaab, killed six PIS agents (AFP, October 30). A document from the ICU’s Shura Council dated September 28, 2006 and signed by Shaykh Dahir Aweys, called for the ICU “to send 30 young martyrs to carry out explosions and killing of the Jewish and American collaborators in the northern regions” (Awdal News Network, October 17, 2006). The Arabic language document included a list of thirteen prominent Somaliland politicians targeted for assassination (including President Dahir Riyale Kahin), all of whom are accused of apostasy by abandoning Islam to work with Americans and Jews. The decision came after ICU leaders viewed a video purporting to show the torture of Shaykh Muhammad Ismail by Somaliland security officials. Somaliland officials described the tape as a fake. The Shaykh was charged earlier with involvement in an attempt to disrupt the September 2005 elections with bombings. Some of Somalia’s Islamists are intent on integrating Somaliland into a “Greater Somalia” that would also include Ethiopia’s Ogaden region, semi-autonomous Puntland, Djibouti and north-eastern Kenya. The day after the bombings, al-Shabaab posted a videotape to jihadi websites showing the last testament of one of the suicide bombers, though al-Shabaab did not explicitly claim credit for the attacks. 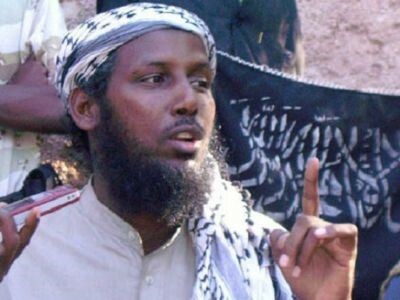 The young man pledged allegiance to al-Qaeda leaders Osama bin Laden and Ayman al-Zawahiri and called for the expulsion of all foreigners in Somalia, especially Ethiopian troops and African Union peacekeepers. Two of the suicide bombers were identified by name; Abul Salam Hersi and Abdul-Aziz Saad, both of whom were members of the Hawiye/Habr Gidir Ayr sub-clan, which supplies many of the Islamist fighters engaged in the struggle for Mogadishu (al-Jazeera, October 30; Somaliland Times, November 1). U.S. Assistant Secretary of State for Africa Jendayi Frazer suggested al-Qaeda was the responsible party; “Nobody has claimed responsibility for the attacks, but they have the markings of al-Qaeda … We believe that these senseless attacks highlight the determination of violent extremists to undermine peace and stability throughout Somalia and the Horn of Africa” (AFP, October 29). Frazer, however, failed to mention the American connection to the suicide attacks. It’s believed that one of the suicide bombers was 26-year old Shirwa Ahmed, a naturalized U.S. citizen and resident of Minneapolis, home to a substantial Somali émigré population. Ahmed moved to Minnesota in 1996 and graduated high school there before becoming one of over a dozen young Somali men to disappear from the area in recent months. All are believed to have returned to Somalia to join the fighting, possibly as suicide bombers. FBI officials will not confirm whether an investigation is under way (Minneapolis-St. Paul Star Tribune, November 25; KSTP-TV [St.Paul], November 29; WCCO-TV [Minneapolis-St.Paul], November 26; AP, November 26). Abdulfatah Abdullahi Guutaale, the local organizer of the Hargeisa bombings, once lived in the Minneapolis area and may have a U.S. green card, according to the Somaliland Interior Ministry investigation (AFP, November 27). Accusations that Somaliland officials were harassing refugees from Somalia following the blasts were denied by the government (Shabelle, November 17). Interior Minister Abdullahi Ismail Irro issued a statement urging Somalilanders to take possible suspects to the nearest police station instead of taking the law into their own hands (IRIN, November 10). Another victim of the bombings was Somaliland’s voter registration campaign, which has now been suspended. In December 2006, a major trial ended in Somaliland in which 15 suspects were charged (six in absentia) with conspiracy to commit terror, illegal importation of arms and explosives and the wounding of three policemen in September/October 2005. Most of the suspects were convicted and sentenced to 20 – 25 years in prison. Among those sentenced to 25 years was Shaykh Muhammad Ismail, a leading Islamist radical. Two of the others sentenced in absentia were Ahmad Abdi Godane “Abu Zubayr” (a suspect in the latest Hargeisa attacks) and Ibrahim Jama Afghani, another veteran of the anti-Soviet war in Afghanistan (Somaliland Times, December 9, 2006). Surprisingly, both Shaykh Hassan Dahir Aweys and Aden Hashi Farah “Ayrow,” an Afghanistan veteran and military commander of al-Shabaab, were acquitted due to a lack of evidence. The two were tried in absentia. Aden Hashi was killed in a U.S. airstrike on his home last May. Shaykh Hassan Dahir Aweys is a former colonel in the Somali army and the leader of what might be termed the “rejectionist” faction of the Islamic Courts Union (ICU), taking a hard-line on peace efforts while calling for the destruction of Somalia’s Transitional Federal Government (TFG) and the expulsion of all foreign troops. Aweys is an inflexible opponent of Somaliland’s struggle for independence; “People in Somaliland worship a deity called “Peace” and this deity is mirrored on Western ideology…” (Somaliland Times, December 9, 2006). The al-Shabaab threat has been used for political purposes within Somaliland. A wave of bombings struck Hargeisa in April, including a grenade attack on the home of a cabinet minister and a large bomb that caused heavy damage to one of Somaliland’s houses of parliament, the House of Guurti (elders). The government blamed the opposition Kulmiye party (Garowe Online, April 10). In August, Interior Minister Irro accused a leading member of the opposition Kulmiye party of being a member of al-Shabaab. The arrest of Hersi Ali Haji Hassan followed his criticism of an exclusive livestock export deal made by the Somaliland president with a Saudi Arabian company. The Kulmiye party responded by accusing the President of damaging the region’s peaceful image (Garowe Online, August 12). Raising livestock is a major industry in Somaliland and the President’s grant of a monopoly on exports to a Saudi firm brought charges from the opposition of violating the constitution and even “high treason,” an impeachable offense (Garowe Online, July 29). 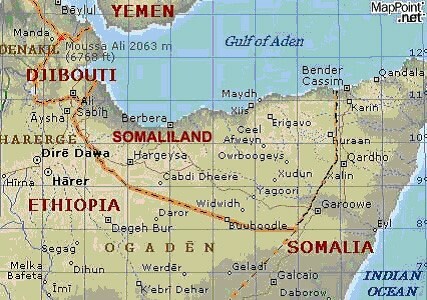 Somaliland is also engaged in a bitter dispute with Puntland over the Sool and Sanaag regions, which both territories claim. A local insurgent group fighting to end Somaliland’s “occupation” of the Sool region, the Somali Unity Defense Alliance (SUDA), appears to be a thinly veiled Puntland proxy. Such accusations are denied by the group’s leader, Colonel Abdiaziz “Garamgaram” Muhammad, who is best known as a former commander in the militia of notorious warlord and accused war criminal Muhammad Said Hersi Morgan while the latter was fighting the Juba Valley Alliance for control of the port of Kismayo (now in the hands of al-Shabaab) (Garowe Online, September 10). Colonel Muhammad’s predecessor, Colonel Deyr Abdi, was captured by Somaliland security forces when they raided a gathering of pro-Puntland militias at the regional capital of Las Anod last January. Colonel Abdi had been appointed military commander of the region by Puntland’s ruler, General Adde Musa. A column of Somaliland troops in 20 armored trucks under Colonel Hashi Yare seized the coastal town of Las Qorey last July after Puntland troops withdrew to the east (Garowe Online, July 9). Somali insurgents, including al-Shabaab, regard the Hargeisa government as being U.S. and Ethiopian backed. Somaliland authorities again became hopeful international recognition might at last be on the way when U.S. Assistant Secretary for African Affairs Jendayi Frazer met with the Somaliland president for security talks last February. The meeting followed a visit by President Dahir Rayale to Washington the previous month. The October 29 blasts will undermine Somaliland’s projection of an image of security and damage its prospects for recognition. The consequent withdrawal of United Nations personnel leaves Somaliland more isolated than ever. There are fears that Islamist extremism may gain ground in Somaliland if recognition of Somaliland’s independence continues to be withheld. Italy and a handful of African countries pose the main opposition to Somaliland’s independence. Spain’s National Intelligence Center (Centro Nacional de Inteligencia – CNI) is monitoring a group of about ten ex-Spanish servicemen who are currently undergoing training at a number of unspecified jihadi training camps (La Razon [Madrid], November 24). The CNI insists that the would-be jihadis did not hold positions of responsibility in the Spanish military and had no access to sensitive information. The CNI investigation also described the role of Spain’s military in integrating Muslims into Spanish society. In the modern all-volunteer Spanish armed forces, accommodation is made for dietary restrictions and Friday prayers. In units with a significant number of Muslims, “supervisors” have emerged who discreetly encourage the observance of Muslim rituals and lifestyles. CNI detected one source of dissatisfaction – the appointment of female Muslim corporals has not been well received by Muslim troops who are not used to taking orders from women. The agency did note that this problem did not exist with women of senior NCO or officer status, but only with those female NCOs who were required to issue direct orders to Muslim servicemen. Overall, the CNI was satisfied that daily interaction with comrades of other faiths or no faith at all was contributing to the successful integration of Spain’s Muslims into the greater Spanish society (La Razon, November 24). The CNI handles both internal and external intelligence needs and has been headed by Alberto Saiz Cortés since 2004. Its mandate requires the CNI to provide the Spanish government “with information, analyses, studies or proposals that allow for the prevention and avoidance of any danger, threat or aggression against the independence or territorial integrity of Spain, its national interests and the stability of its institutions and the rule of law” (cni.es). Most CNI operations are in North Africa and Central and South America. The CNI is not a law enforcement agency – intelligence collected by it is submitted to governmental authorities who then decide what action should be taken, including turning the files over to Spanish law enforcement agencies for action. 780 Spanish troops are currently deployed in Afghanistan as part of the International Security Assistance Force (ISAF). Two Spanish soldiers were killed in a Herat suicide attack on November 9, bringing the total number of Spanish troops killed in Afghanistan to 25. A November 14 Taliban video warned Spain to withdraw its troops from the country. 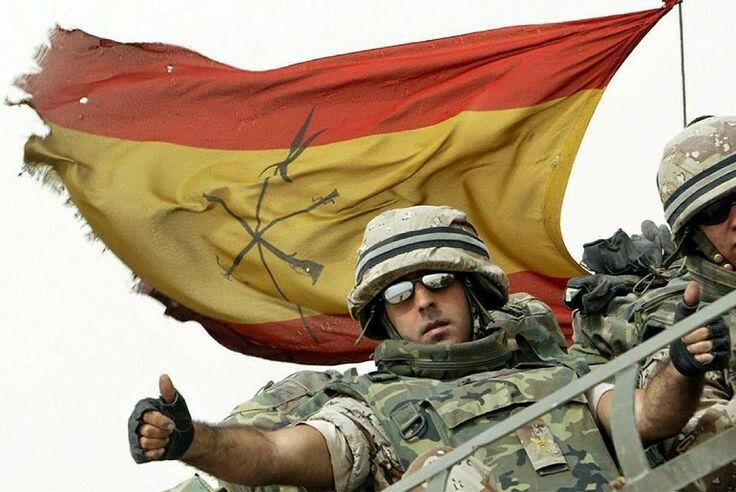 Since ending conscription in 2000, Spain has struggled to maintain its military strength at approximately 80,000 troops. To do so, Spain has begun recruiting heavily in Spanish-speaking nations in Latin America and Africa. Beside Afghanistan, Spanish troops are currently deployed in peacekeeping missions in Lebanon, Kosovo and the Democratic Republic of the Congo. 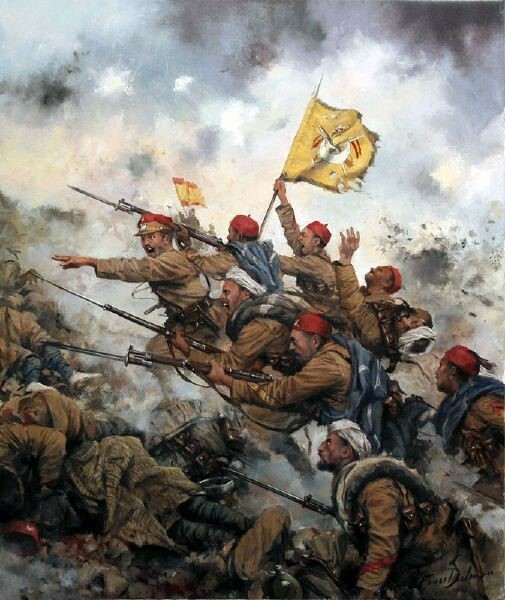 Troops of the Spanish Legion (formerly the Spanish Foreign Legion) are used overseas almost continually, having seen service in recent years in Bosnia, Iraq, Afghanistan and Lebanon. 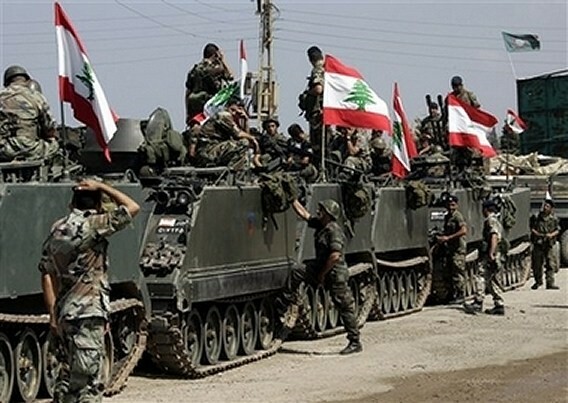 The day before Lebanese President Michel Suleiman began his visit to Iran, a pan-Arab daily reported that Tehran was preparing to offer the Lebanese Armed Forces (LAF) heavy weapons, including missiles (al-Hayat, November 23). Tehran believes the LAF can operate in a complimentary fashion with Hezbollah in organizing the defense of the country, though many Lebanese parliamentarians insist that Hezbollah must turn over its weapons to the LAF. Reports from Tehran state that Suleiman requested only medium arms from Tehran for national defense and the fight against terrorism and was not seeking heavy weaponry like missiles or jet fighters (Al-Nahar [Beirut], November 26; Tehran Times, November 26). Suleiman is a former commander of the LAF. The security agreement signed at the end of Suleiman’s Tehran visit, calls for Iran to supply Lebanon with arms and equipment for the next five years. The exact arms to be supplied will be determined in accord with a new national defense strategy (Al-Sharq al-Awsat, November 27; Naharnet, November 27). Lebanon’s ongoing efforts to hammer out this new strategy were discussed at the talks with Iranian President Mahmoud Ahmadinejad. Iran has supplied the Shiite Hezbollah movement with arms since the 1980s, but previous offers to supply the LAF have been rejected on national security grounds (Al-Ahram Weekly, November 27 – December 3). As part of Suleiman’s visit, Supreme Iranian leader Ayatollah Ali Khamenei made a declaration that; “The Islamic Republic of Iran believes that the power of all Lebanese groups should be at the service of the country’s national unity in order to counter the danger of the Zionist regime” (al-Bawaba, November 25). Israeli Defense Minister Ehud Barak told parliament last week that Hezbollah now had 42,000 missiles, three-times the number it had at the beginning of the 2006 Israeli-Hezbollah war (BBC, November 24). Barak warned Lebanon that integrating Hezbollah into the Lebanese state, politically or militarily, will lead to Israel targeting Lebanon’s infrastructure with “in-depth attacks in the event of a new conflict” (BBC, November 24). Hezbollah leader Shaykh Hassan Nasrallah has urged the government to equip the LAF with anti-aircraft and anti-tank weapons as part of the national defense strategy. Hezbollah made good use of the latter in the 2006 war with Israel (see Terrorism Focus, August 15, 2006). Nasrallah added that an army without anti-tank missiles was only a body “that deals with national security,” adding; “Our army must be strong, and therefore must be well-trained and well-equipped, and not only with assault rifles and grenades” (Naharnet, November 12; Ynet, November 27). At a recent meeting of the March 14 ruling coalition, Phalange Party leader and former president Amin Gemayel called for all weapons in the hands of Hezbollah or militant groups within the Palestinian refugee camps to be turned over to the state (Daily Star [Beirut], November 24). Other March 14 politicians have also opposed a deal for Iranian arms, which National Liberal Party leader Dori Chamoun described as “not sophisticated” (al-Manar, November 25). Shaykh Nasrallah and the Hezbollah leadership reject the idea of turning their weapons over to the LAF, claiming that to do so would weaken Lebanon’s ability to protect itself against attacks from Israel in the absence of a national defense strategy. The United States has been heavily involved in reforming the LAF with hundreds of millions of dollars worth of arms supplied in the last few years. In mid-November, Lebanese authorities announced that the U.S. would supply the LAF with dozens of M60 “Patton” main battle tanks beginning in early 2009 (al-Nahar, November 21). Israel operates over 700 upgraded versions of the M-60. Though Israeli officials expressed concerns that the M-60 might eventually end up in the hands of Hezbollah, it is important to note that the tanks would be easy prey for Israeli aircraft or even Israel’s upgraded armor. Hezbollah has more interest in anti-tank weapons than tanks. March 14 coalition leader Sa’ad Hariri told reporters that Moscow was willing to sell heavy weapons to Lebanon at “advantageous prices,” following an early November visit to Moscow. Hariri criticized US supplies of light arms, saying that the LAF also need tanks and artillery (Vremya Novostey: November 9; Interfax, November 9). In turn, Lebanon will send a delegation of Lebanese businessmen to the Georgian breakaway republics of Abkhazia and North Ossetia, possibly as the first step in recognizing Russian-backed independence (Interfax, November 9). Beirut may yet reverse its decision to accept Iranian arms supplies. Mixing arms from different sources would create many difficulties and cannot be viewed as a step forward in creating a national defense policy. If, however, Beirut proceeds, having Iran supply arms for both the LAF and Hezbollah may be an important step in their eventual integration.